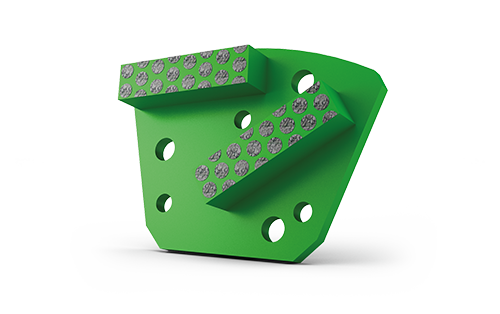 Diamag diamond grinding wings are designed to be fitted on every Blastrac or Diamatic 3-headed planetary grinder, as well as on similar (concrete) grinders from other suppliers. Diamag wings are available in three colours. This three colour system is specially designed to make life easier for customers. 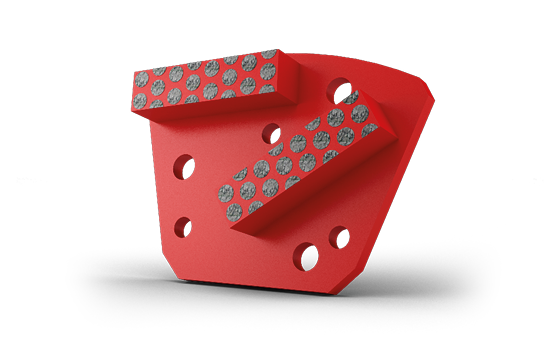 All Diamag wings can be mounted on our Diamag adapter plates. 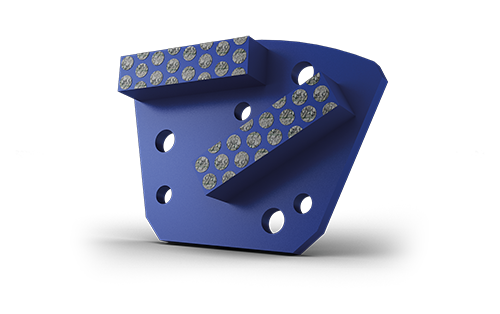 Each wing has 2 segments with specific „dot” design; each segment is covered with little plugs, which will attack the floor first, thus letting the diamond open much faster, for an optimized grinding efficiency. 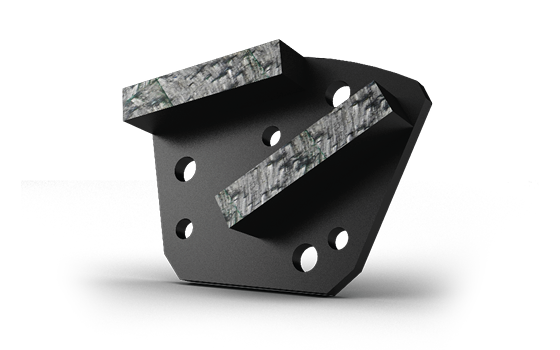 Diamag wings are delivered by sets of 9 pieces: 3 wings for each one of the 3 planetary heads.